With the arrival of September, it's tempting to feel that summer's well and truly over. But not so fast! These are the dog days, the last hot and sticky ones before autumn officially commences on the 22nd and the leaves begin to turn. And what better way to celebrate the dog days than with dogs? 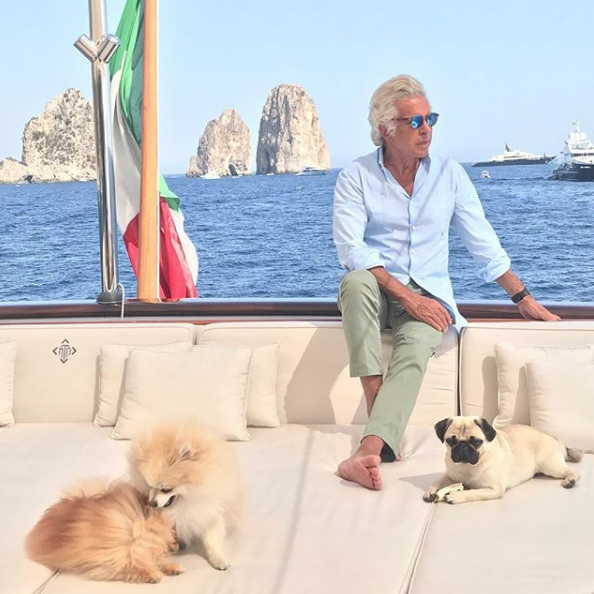 Poppy, Blu, Moon and Maude are four of the luckiest pups around, privileged to tag along with their owners Mr. Giammetti and Mr. Valentino when they sail around the Mediterranean on the TM Blue. 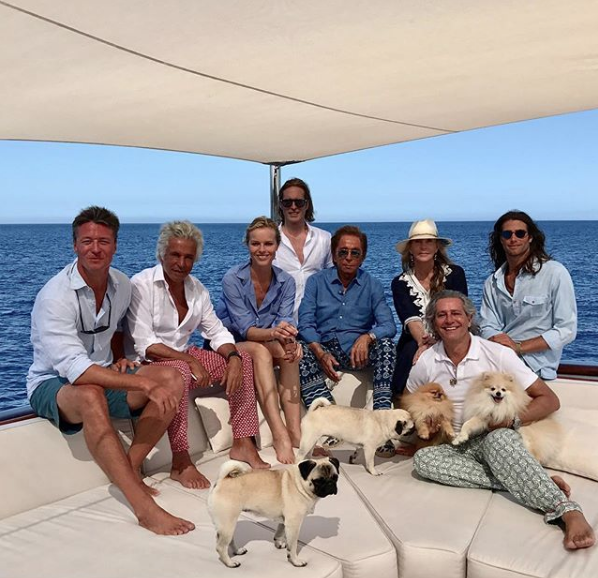 Clearly, it's been a fun summer for the Valentino poms and pugs. 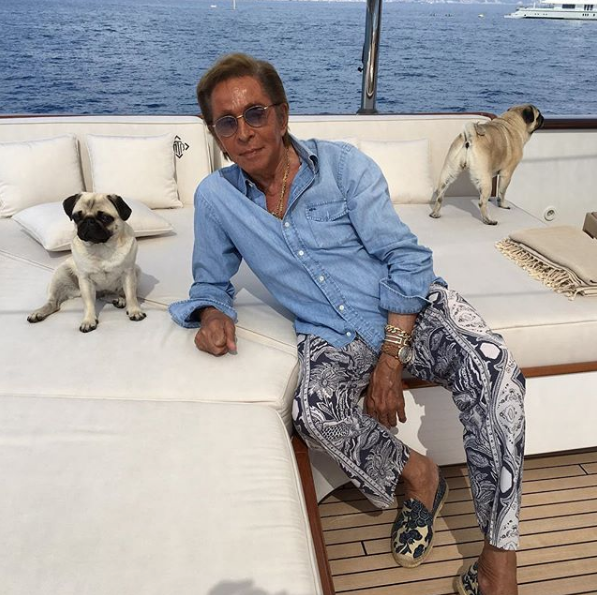 But Mr. Giammetti's Insta followers needn't fear that they'll be seeing less of Poppy, Blu, Moon and Maude as the seasons change. 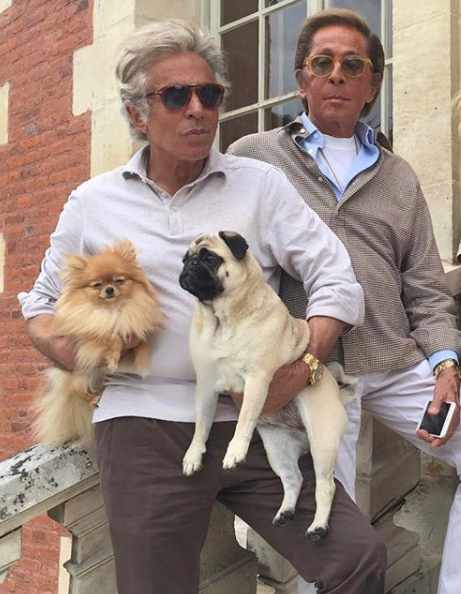 No doubt they'll be joining their owners on their autumn adventures, living la dog-ce vita in Paris during fashion week—and more!